All-in-one problem solver for all your struggles with dull, dry, frizzy, unruly curls: Meet the “Curl Whisperer.” Finally! 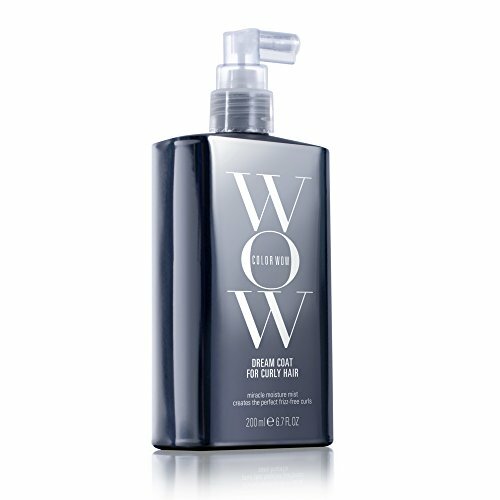 One breakthrough styling spray does ALL your curl work, effortlessly! Air-dries to create perfectly defined, weightless, dreamy curls with a high-gloss finish. Delivers ALL THE COMBINED BENEFITS of outdated gels, serums and heavy creams. Super-light “miracle moisture mist” technology is ALCOHOL FREE. Features proprietary Elasta-flex, a trifecta of powerful polymers that address every challenge that stands in the way of curl perfection! Aligns, defines…delivers perfectly bundled, silky, hydrated curls with supernaturally glossy shine. Ingredients aqua/water/eau, dipropylene glycol, polysilicone-29, dmdm hydantoin, propylene glycol, glycerin, silicone quaternium-18, butylene glycol, iodopropynyl butylcarbamate, trideceth-7, trideceth-12, phenoxyethanol, chamomilla recutita (matricaria) flower extract , calendula officinalis flower extract, potassium sorbate, potassium benzoate, citric acid. If you have any questions about this product by COLOR WOW, contact us by completing and submitting the form below. If you are looking for a specif part number, please include it with your message.